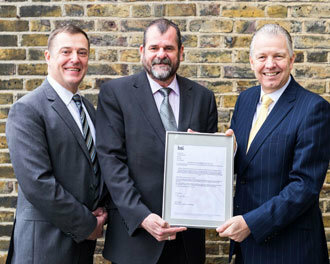 Overbury is amongst the first ten UK and worldwide companies to have been independently assessed by BSI and achieve conformity to ISO 45001 Occupational Health & Safety. The new international standard, which is now published, replaces OHSAS 18001 and sets out the requirements for those organizations who wish to create and maintain a safe and healthy working environment for all. BSI has engaged with each of the ten clients who have been through a rigorous assessment programme to the FDIS (Final Draft International Standard) and a further review against the actual publication of ISO 45001. OHSAS 18001 has already helped numerous organizations of all sizes successfully identify and manage occupational health and safety risks and hazards within their business. The new international standard has been developed in order to take in to account today’s business requirements. It’s the first ISO for Occupational Health and Safety, so for those organizations that operate or trade internationally, working to a single international standard could help to simplify their business. Whilst some of the requirements within OHSAS 18001 have been retained in the new standard, ISO 45001 uses a high level structure (HLS) - featuring terms, definitions, headings and text common to all management system standards - allowing easier integration when implementing multiple management systems. For example, ISO 9001 Quality Management and ISO 14001 Environmental Management. Some of the other changes include a strong emphasis on leadership, risk-based thinking as well as participation and consultation of decision-makers and workers to ensure the management system covers what is needed and is communicated effectively to all involved. Organizations currently certified to OHSAS 18001 will have three years to migrate to the new standard.